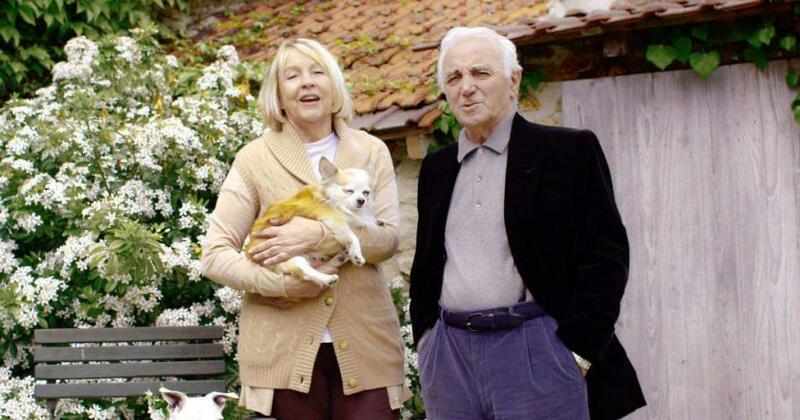 Charles Aznavour, one of France’s most celebrated singers of popular songs as well as a composer, film star and lifelong champion of the Armenian people, has died at his home in Mouriès, in southeastern France. He was 94. His death was announced on Monday by the French Culture Ministry. Local authorities said he died overnight. At an age when most performers have long retired from the footlights and the brutal, peripatetic life of an international star, Mr. Aznavour continued to range the world, singing his songs of love found and love lost to capacity audiences who knew most of his repertoire by heart. In his 60s, even then a veteran of a half century in music, he laughed off talk of retirement. His accomplishments were prodigious. He wrote, by his own estimate, more than 1,000 songs, for himself and others, and sang them in French, Armenian, English, German, Italian, Spanish and Yiddish. By some estimates, he sold close to 200 million records. He appeared in more than 60 films, beginning with bit parts as a child. His best-known film role was probably as a pianist with a mysterious past in François Truffaut’s eccentric 1960 crime drama, “Shoot the Piano Player” — a part that Truffaut said he had written specifically for Mr. Aznavour. 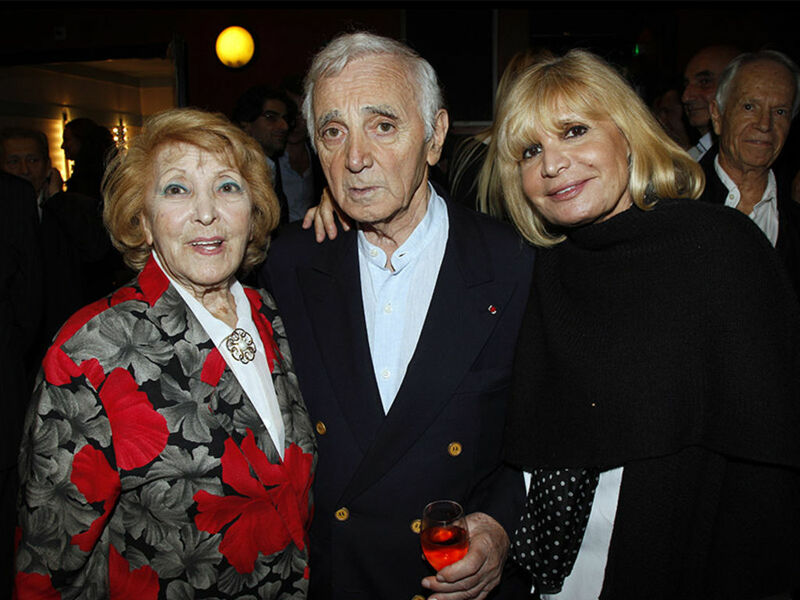 Charles Aznavour was born in Paris on May 22, 1924. (Most sources say his name at birth was Chahnour Varenagh Azavourian, but some give his original given name as Charles and his original surname as Aznaourian.) His parents, Mischa and Knar, had come to France fleeing Turkish oppression. When they were denied visas to America, they opened a restaurant near the Sorbonne and made the city their home. Charles’s parents instilled a love of music and theater in him and in 1933, when he was 9, enrolled him in acting school. He was soon part of a troupe of touring child actors. At 11, in Paris, he played the youthful Henry IV in a play starring the celebrated French actress and singer Yvonne Printemps. Then, in 1956, he was an unexpected hit on a tour that took him to Lisbon and North Africa. The director of the Moulin Rouge in Paris heard him at a casino in Marrakesh and immediately signed him. When he was back in Paris, offers poured in. In “Yesterday When I Was Young,” an autobiography published in 1979 — it shares its title with the English-language version of one of his best-known compositions — Mr. Aznavour recalled a Brussels promoter who had ignored him for years and was now offering him a contract. He offered 4,000 francs. Mr. Aznavour asked for 8,000. The promoter refused. The next year, he offered 16,000. “Not enough,” replied Mr. Aznavour, now a major star. “I want more than you pay Piaf.” Piaf was then making 30,000 francs. Again the promoter refused. The next year, he gave in. “How much more than Piaf do you want?” he asked. He returned to New York in 1963 and rented Carnegie Hall, where he performed to a packed house. (Among those in the audience was Bob Dylan, who later said it was one of the greatest live performances he had ever witnessed.) A triumphant world tour followed. Thereafter, the United States became a second home. Mr. Aznavour performed all over the country, often with Liza Minnelli. He became a fixture in Las Vegas for a time and there married Ulla Thorsell, a former model, in 1967. She was his third wife. 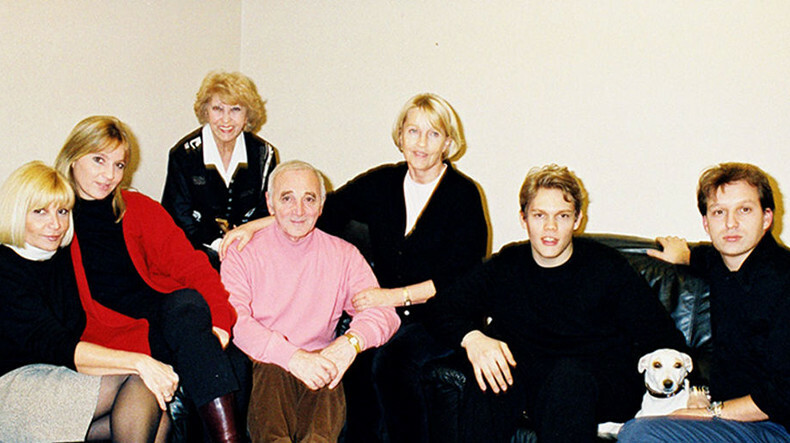 Mr. Aznavour had six children. Complete information on survivors was not immediately available. 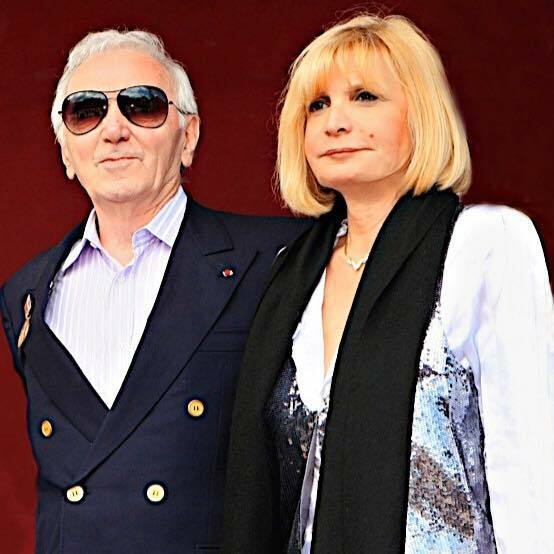 As a child, Mr. Aznavour watched his father go broke feeding penniless Armenian refugees in his restaurant. As his fame grew, he became a spokesman and fund-raiser for the Armenian cause. He organized help worldwide after an earthquake killed 45,000 people in Armenia in 1988. And when the country broke away from the crumbling Soviet Union in 1991, it made him an unofficial ambassador. He displayed the Corps Diplomatique plaque on his car as proudly as he wore the French Legion of Honor ribbon in his lapel. In 2006, at the age of 82, le Petit Charles, as the French called him (he was 5 feet 3 inches tall), began what some — although not Mr. Aznavour himself — called his farewell tour. After several months in Cuba that year, recording an album of his songs with the pianist Chucho Valdés, he moved on to a 10-city swing through the United States and Canada, beginning at Radio City Music Hall. It was just the English-language part of the tour, he said, with England, Australia, New Zealand and South Africa to follow. He continued performing almost to the end. He had broken his arm in May, but at his death he had concert dates booked in France and Switzerland for November and December. Reviewing a 2009 concert at New York City Center, Stephen Holden of The Times wrote that Mr. Aznavour “displayed the stamina and agility of a man 30 years younger.” A 2014 performance at the Theater at Madison Square Garden was billed as his final New York appearance, but he suggested in an email interview with The Times that he might change his mind. He continued writing songs as well. “My Paris,” a musical based on the life of Toulouse-Lautrec for which he wrote the score, was staged at the Long Wharf Theater in New Haven in 2016. An earlier version of this obituary misstated the location of Mouriès, where Mr. Aznavour lived. It is in southeastern France, not southwestern. 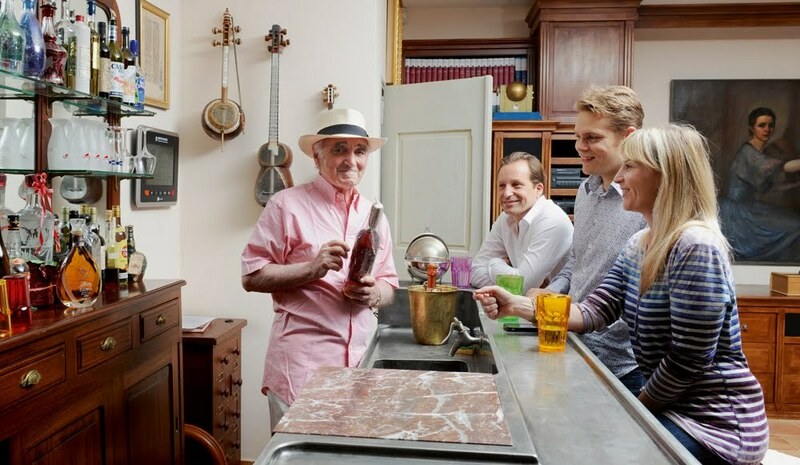 Elder daughter of Charles Aznavour Seda has published on Facebook a new family photo of the great chansonnier with relatives and family members. In a new Facebook cover, the great chansonnier is posed with daughters Seda, sister Aida, wife Ulla, and children Katia, Misha and Nikola.